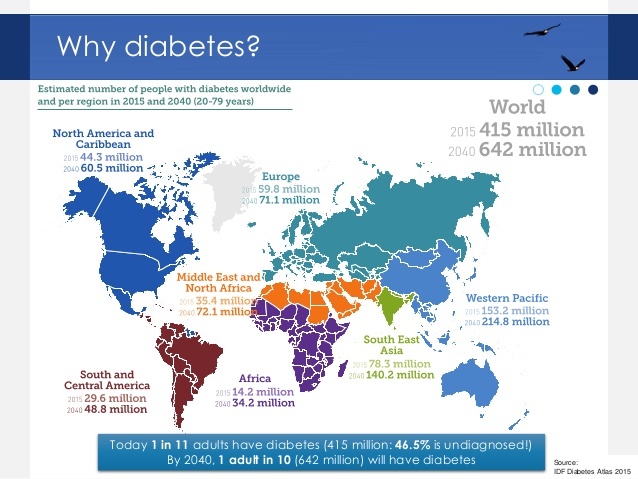 The Western Pacific also has the country with the world’s highest prevalence of diabetes – in the Pacific Island nation of Tokelau where 30 per cent of adult population has diabetes. Cambodia has the lowest at per cent. World Diabetes Day is an international event to raise awareness about diabetes, celebrated every year on 14 November.